The Darkness are streaming their new album, “Last Of Our Kind”, ahead of release on June 1. The follow-up to 2012’s “Hot Cakes” was produced by guitarist Dan Hawkins and sees the debut of drummer Emily Dolan Davies, who replaced Ed Graham after a split last year. Davies left the band last month, just weeks after she made her live debut with the group; she has since been replaced by Rufus Taylor, the son of Queen drumming legend Roger Taylor. “Last Of Our Kind” will be available on limited edition color vinyl, CD and digital download. 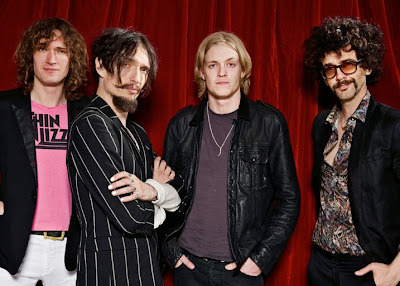 The Darkness will launch the album with a showcase concert at Dingwalls in London on June 3, followed by a series of UK festival appearances this summer.